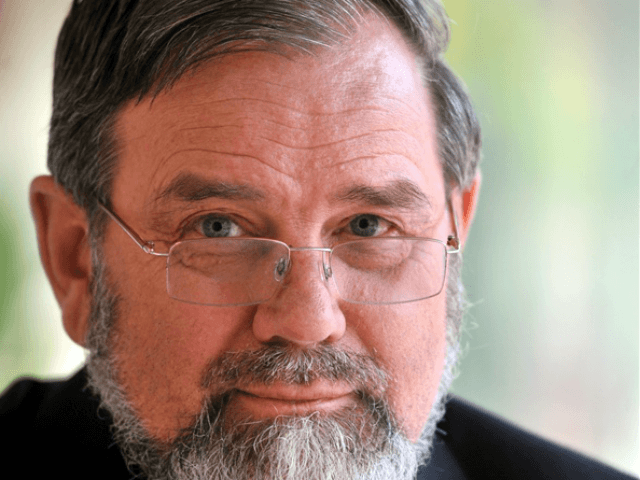 Professor Bob Carter, one of the world’s leading climate sceptics, has just dropped dead of a heart attack at the far too young age of 74. Perhaps it would be pushing it to say that he was driven to an early grave by the alarmist establishment. But there’s no question that his retirement would have been a lot more comfortable, less stressful and better paid if he’d hitched his career onto the Climate Change Gravy Train rather than doggedly speaking up for the cause of honest science. Bob had known for years that man-made global warming theory was a crock. As a brilliant earth scientist – until 1998 he was head of the geology department at James Cook University in Australia – he understood perfectly well that on the geological scale our planet has experienced shifts in climate of a magnitude so vast as to make a mockery of the notion that humans can influence or control it. First James Cook University (JCU) took away his office, then they took his title. In protest at that, another professor hired Bob immediately for an hour a week so Bob could continue supervising students and keep his library access. But that was blocked as well, even the library pass and his email account were taken away, though they cost the University almost nothing. The harrying of sceptics is commonplace in academe. (See, for example, the even more shocking treatment of Willie Soon). This is one of the reasons for the so-called “Consensus” on man-made global warming theory. Many scientists who are privately sceptical about it just daren’t speak up for fear of losing their jobs or their grants. I asked Bob about this in Paris in December. We’d both come to the Paris Climate Challenge – a fringe event organised by sceptics as a rival to the COP21 talks. Bob, as usual, was on cracking form. With his devilish grey-black beard, matinee idol hair and impish grin, he looked twenty years younger than his real age. But then, he needed to be energetic and cheerful because he was now working as a science advisor to the Heartland Institute, which meant taking an awful lot of flak from poisonous alarmists: you need a thick skin for that. This is why so many of the world’s most prominent climate sceptic scientists are elderly and often retired. Any earlier in their careers and the consequences for telling the truth would be too costly. Being a notorious climate sceptic is not for the squeamish. You are bound to suffer at the hands of a powerful, deeply unpleasant, cynical, corrupt, mendacious enemy with the state and much of the media behind it, plus an estimated 3500 times more to spend on propaganda and hit jobs than the climate realist side can muster. Still, it’s worth it, as Bob and I agreed over a delightful final lunch together in a Paris bistro with our fellow sceptics Donna Laframbroise and Tom Harris. We might be less well-funded than the enemy, we decided, and we might come in for an awful lot of stick. But we had two things on our side: first, the truth, and second the camaraderie of some of the most delightfully eccentric, deeply knowledgeable, courageous and likeable people on earth. Bob was right at the top of this category. All who knew him will greatly miss him and our prayers and thoughts go to his much-loved wife Anne.